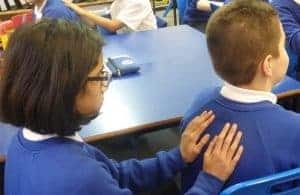 At Connected Kids, we are delighted to have formed a collaboration with the team from Story Massage to complement our work helping children improve their health and well-being. Story Massage is easy to learn and involves the use of simple movements (children are clothed), linked to words that help tell a story. Story Massage has a flexible approach as it can be shared as a child to child or parent to child activity. At present it is used worldwide in a variety of settings including home, school, after-school clubs, family centres, hospices and special schools. The course has been taught worldwide, but now you can learn at a time and place to suit you through our online learning course. 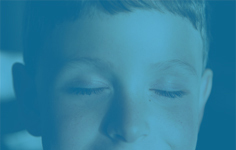 This easy-to-use, interactive online course will give you the support and experience you need to help you share Story Massage with children of all ages and abilities. 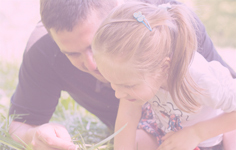 The course is a collaboration between Connected Kids and the co-founders of Story Massage, Mary Atkinson and Sandra Hooper, authors of the popular book Once upon a touch… story massage for children (the book comes as part of the course). 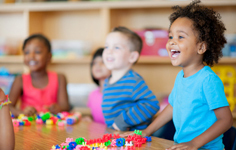 You will be guided through easy-to- use modules, self-directed practical exercises, video and audio clips and downloadable resources to help you develop Story Massage activities for children. Sandra and Mary will show you how to help children feel calmer and more focused, and encourage better communication and engagement. Plus, you will learn more about how to adapt Story Massage for children with additional needs. It’s a self-directed, interactive course that you can begin at a time to suit you. Easy-to-complete self-assessment questions – helping you understand what you have learned and put it into practice!. You will be able to download practical and accessible answer sheets to help you review and reflect on your learning during the course. You will have on-going support to help you keep up your Story Massage practice and full access to the online course materials for 6 months (extensions are available). The creation of this course has been inspired and informed by the work of Mary Atkinson or Sandra Hooper of Story Massage. We help promote the course (we think it’s great) but the payment is processed via the Story Massage team. Connected Kids Ltd promotes the online course on behalf of Story Massage . Connected Kids accepts no responsibility for the content of the Story Massage course. Please visit www.storymassage.co.uk/contact/ for their terms and conditions, privacy statement and disclaimer policy.